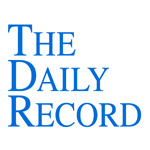 This week's Daily Record column is entitled "Social Media for Large Law Firms." I’ve been giving a lot of thought to how Big Law can effectively use social media ever since I spoke at King & Spalding’s Atlanta office in mid-August. During my presentation on social media, a member of the audience asked if I was aware of any large law firms that were using social media well. No single firm stood out in my mind, and for good reason. Generally speaking, most large firms have established rather bland practice area blogs and, to the extent the firms have a presence on social media plat- forms, the social media accounts are used primarily to broadcast firm achievements rather than to provide valuable content and interaction. That is because most large law firms have been reluctant to enter the social media arena due to legitimate concerns about ethical and legal issues and a perceived lack of value. Undoubtedly, there are ethical issues unique to large law firms that arise primarily due to their size. The large number of clients, staff and offices can result in inadvertent conflicts of interest when individual employees engage in social media. For example, an associate attorney might unknowingly support a cause on Facebook that is contrary to the position taken by a large client of the firm. Whether participation in social media makes sense for large law firms also is an issue worthy of consideration. As I’ve oft repeated in the past, large firms must, at the very least, learn about and understand social media — if for no other reason than to be able to employ effective damage control in the event the firm is the target of an embarrassing blog post at Above the Law or a similar website. Likewise it is important for large firms to claim their firm’s name on major social media sites such as Facebook, Twitter and LinkedIn, if only to prevent others from hijacking the firm’s name and causing problems down the road. I believe Big Law can and should do more with social media, however. 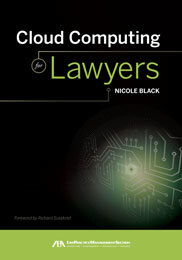 After giving it some thought, I believe there are ways in which large law firms can use social media to their advantage. It’s simply a matter of creating consistent and educational company profiles on the social media platforms that receive the largest amounts of Internet traffic. social media is to set up a Facebook page, a LinkedIn Company Profile page and a number of Twitter accounts, including a main firm account and an account for each major practice area. Twitter accounts can be used to share news and information relevant to the firm and its various practice areas. The firm’s main Twitter account should share news about the firm and should re-post tweets from the firm’s practice area Twitter accounts. The firm’s practice area Twitter accounts should focus on sharing news stories and links to outside resources that relate to the practice area. Links to recent blog posts from the firm’s blog devoted to that practice area also should be shared. The account can be used to share news regarding individual lawyers’ victories or other achievements from within the practice area. In order to avoid the appearance of excessive self-promotion, however, the Twitter account should share links that consist of substantially more informational content than promotional content. The LinkedIn profile should be used for brand identification and recruitment purposes. Job openings can be posted on the LinkedIn Page, along with information about current employees and new hires. Amazon’s LinkedIn profile is a good example of an active company profile — www.linkedin.com/companies/amazon.com?trk=copro_tab. The firm’s Facebook page can be used for brand identification and recruitment purposes, but likewise should be used to disseminate content and news about the firm. Content from the firm’s main Twitter account can be disseminated via the Facebook page, as can separate links to blog posts from the firm’s various blogs. The Facebook page also can feature occasional links to articles written by its attorneys that appear on the firm’s static website. There is no doubt engagement in social media can be a dicey proposition for large law firms and their reluctance to begin the process of online interaction is understandable. Big Law can and should take the leap, however. Doing so ensures the firm has a consistent, useful, approachable online presence that can be located easily on the three main social media platforms. Once the firm has established an official and effective presence in social media, the next step is to enact a sensible firm- wide social media policy. The policy should set the parameters for the firm’s employees’ social media interactions in a way that mitigates the risks and maximizes the benefits of their participation. Of course, how to go about accomplishing that delicate balance is fodder for a future column. This is a very informative post; I like how you mention social media as a method for damage control. Most big law firms probably only see facebook, and Twitter as a way to update people on their current ventures, however, using it to attract clients and dispel roomers seems to be a much more effective method for big law firms.